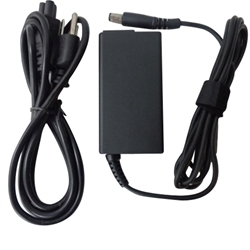 Description: New aftermarket laptop ac adapter charger with power cord. The tip of this adapter is "octagon shaped". If you have one of the models listed with a round shaped dc jack then this is not the correct adapter. Compatible Part #'s: NX061, 0NX061, XK850, 0XK850, HR763, 0HR763, YR733, 0YR733, YR719, 0YR719, LA65NS2-00, LA65NS4-00, PA-1650-02DW, PA-1650-020W, PA-21.